So it was confirmed that this is the unshaven version of the Fino Capataz of back in the day – by which I mean it is unfiltered and unclarified (although I remember the original as being pretty dark in hue in any event), and with a total of around 10-12 years of biological ageing. On the nose this bottle has clear oxidative notes – from whence the nutty nose that I have always associated this wine I suppose – in fact almost fruity but with haybales too, like old apples packed in straw. Aftter the sweet and inviting nose it it impressively dry and punchy on the palate, a really concentrated sapidity and intense flavours, which start solid, then give way to nuts and then minerals, with a bit of a saline sting to the tail. 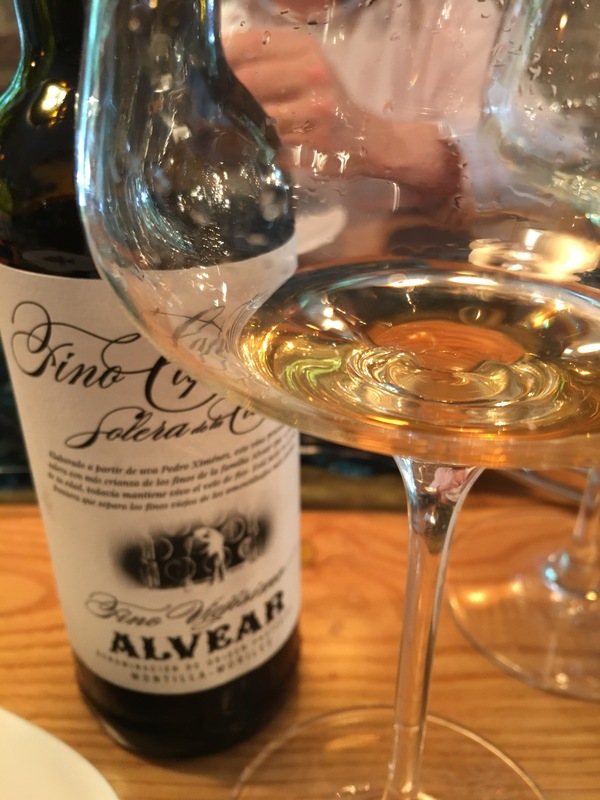 A really top fino. In fact a top wine in general.